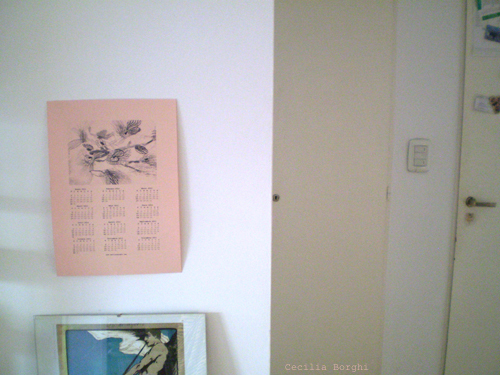 Hice un calendario 2011 para imprimir en hoja A4. Se puede bajar de este archivo pdf. I made a 2011 calendar to be printed in a A4 sheet. It can be downloaded from this pdf file. o bajaran en círculos perdiéndose en las entrañas de la tierra. ni paredes ni regreso. Pero había temas que se repetían con exactitud". Anaïs Nin, Winter of Artifice, citada en el capitulo N° 110 de Rayuela de Julio Cortazar. "The dream was composed like a tower of layers without end, rising upward and losing themselves in the infinite, or layers coiling downward, losing themselves in the bowels of the earth. When it swooped me in its undulations, the spiraling began, and this spiral was a labyrinth. There was no vault and no bottom, no walls and no return. But there were themes repeating themselves with exactitude". Anaïs Nin, Winter of Artifice, in chapter 110 of Hpscotch by Julio Cortazar. 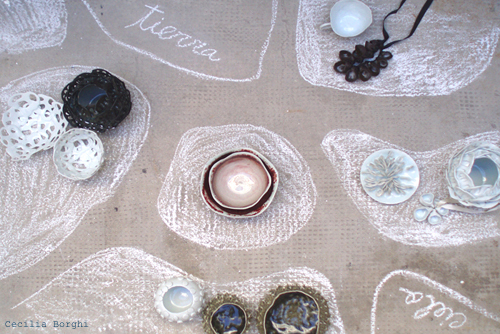 Hoy fui al Palais de Glace a preparar mis piezas para la exhibicion de los premiados y seleccionados en las categorias ceramica, textil y grabado del Salón Nacional de Artes Visuales. Mi obra se llama Fenix y salio de este boceto. 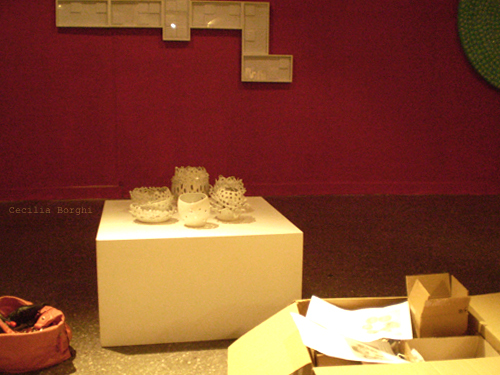 Today I went To Palais de Glace to arrange my porcelain pieces for the 99th Salon Nacional de Artes Visuales exibition. My work is called Fenix and this is the the sketch were it came out from. Mañana viernes es la inauguración. 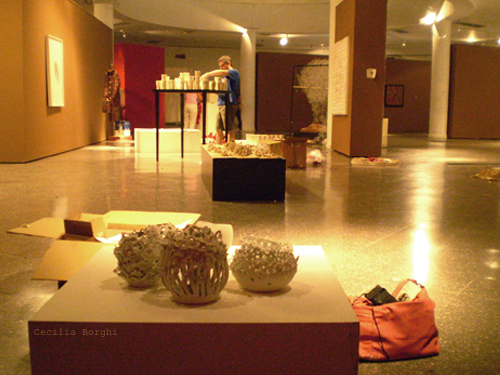 Tomorrow at 7pm is the opening. 10 de diciembre a las 19hs en Posadas 1725, C.A.B.A. 1725 Posadas street , Buenos Aires city. Mi primer pieza en porcelana, el payaso con pelota, lo hice cuando tenia 8 años y mi primera pieza en torno, el florerito de gres. 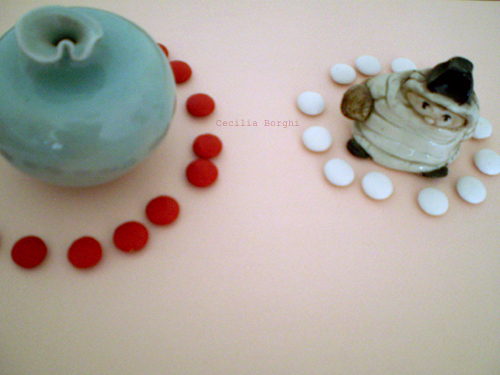 Mi first piece in porcelain, a clown with a ball, I made it when I was 8, and the first piece I made on the wheel, a litle vase.